I thought I'd write a quick update on what I've been up to between my two treks. First off I travelled back from Pokhara on the tourist bus this took 8 dusty hours on quite a bumpy road. This was probably the most dangerous part of this trek. The main difference between a tourist bus and a local bus is that everyone gets an allocated seat and the bus goes a little bit slower, unlike a local bus where there are 3 times more people than seats and drive at breakneck speeds, overtaking on blind corners! The flight from Pokhara to Kathmandu takes 35 minutes.....why didn't I do that? Kathmandu is heaving as its now the main trekking season, I haven't missed the traffic, pollution and street hustlers. Can't wait to get back out on the trails. Once back in KTM, I set about getting some laundry done ready for the next trek. I sent larger items to the hotel laundry and I cleaned some of the smaller ones myself in the bath, judging by the colour of the water they really needed a clean. My bathroom looked like a Chinese laundry. Following this it was my turn to get clean and tidy again. Had a great hot shower, I must have drained the hotel of hot water, then it was onto the big one - a shave. This was a mammoth task in itself after not shaving for 17 days, it took over an hour and 3 razor blades, but it was worth the effort to feel really clean again. Maybe after the next trek I'll find a barbers to do the job. The following day it was off to Patan around 5km south of central Kathmandu. This is one of the 3 medieval cities in the valley. 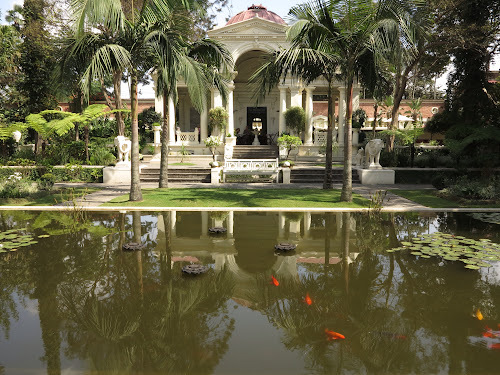 We (me and my guide) walked around the Royal palace, now a museum containing some of the finest carvings, sculptors & statues of various Hindu and Buddhist gods and their various forms (I think this will be my specialist subject in the next pub quiz). From here it was around more spectacular temples, I went to the Buddhist Golden Temple and the Mahabouddha Temple, which is also known as the Temple of a Thousand Buddhas. Patan's streets are lined with many workshops making and selling high quality brass sculptors of Buddha, bells and Hindu deities. After 3.5 hours wandering around, it was back to the hotel for a relax and some food. A late start, to miss the most of the traffic. 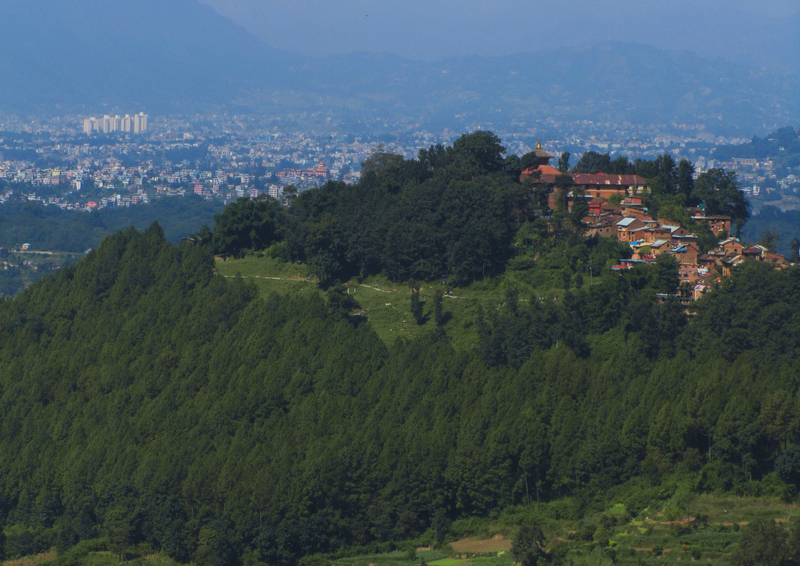 We head out of the city for a night, stopping at the hilltop village of Nagarkot, some 32km east of Kathmandu and at an elevation of 2175m. 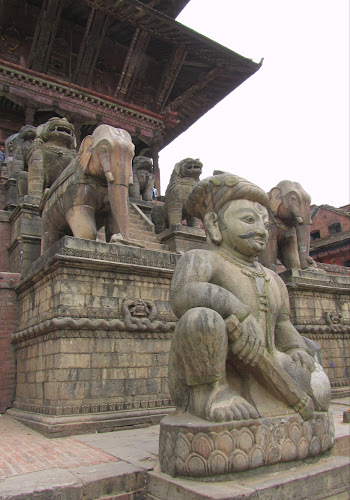 On the way we would visit the third and best preserved of the medieval cities in the Kathmandu valley of Bhaktapur. It is also the largest with 3 main squares. Like Patan and Kathmandu Durbar Squares there are some impressive Hindu temples, including the 5 tiered Nyatapola temple, the tallest in Nepal. The stairway up to the temple is lined with various guardians, at the bottom there are 2 wrestlers (Jayamel & Phattu), then elephants, next ram horned griffons and finally the 2 goddesses of Baghini & Singhini. The guardians at each level are supposed to be 10 times stronger than the level below. From here we drove the remaining 16km up the twisty mountain road up to Nagarkot, this took an hour! The hotel I stopped in had bedrooms that all had views of the Himalaya. Unfortunately, it was cloudy when I arrived so there were no views for sunset, it started to rain so there was still hope for clear sky's in the morning for sunrise. That said its was great to be out of the city for a night and Nagarkot is a great place to relax. So not having seen the sunset over the Langtang Himal, I set my alarm for 5:30 to see if the sky's would be clear. I peered out of the window and I was rewarded with sensational views. I quickly washed and dressed and made my way to be best viewing spot and snapped away at the mountains and sunrise. It was worth the early wake up call. After a light breakfast, we set out on a 13km hike to the Chengu Narayan Temple, a UNESCO world heritage site. The walking was easy and mostly downhill on well marked trails. We made our way through some tiny villages to reach Tharkot. From here it was a short 20 minute uphill walk to join the ridge. In the distance I could see the temple perched high on the hillside. In the background, Kathmandu sprawled into the distance. 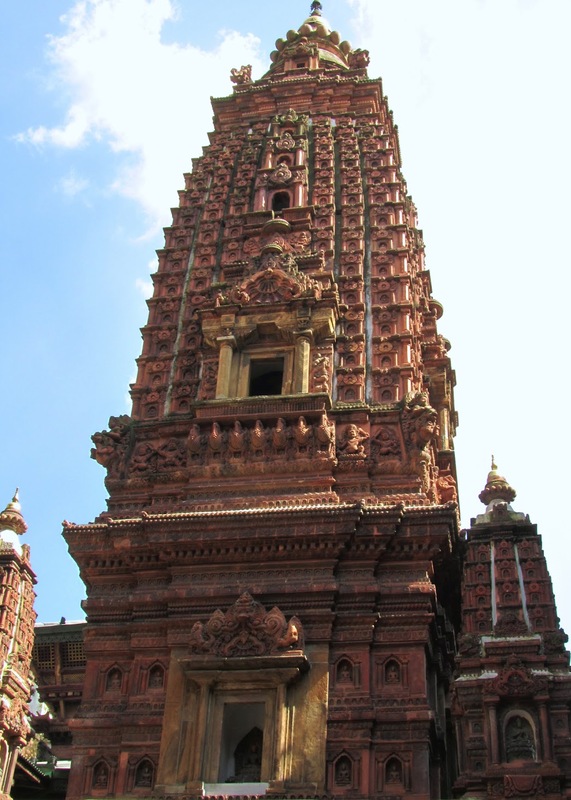 The temple itself is in the pagoda style, dedicated to Vishnu and contains some fine carvings from the 4th to 9th centuries. After this visit it was back to the hustle and bustle of Kathmandu, to get things ready from my next trek and to do some shopping for presents. Totally chilled day, nothing to do, so went to the Garden of Dreams just on the edge of Thamel. This is a lovely garden to spend a couple of hours away from the crowded, noisy streets to read, listen to my iPod and generally get away from it all. As well as all the sightseeing, I've done quite a bit of eating since getting back from the Annapurna Circuit as I need the energy for my next trek in the Khumbu. Well that's my excuse anyway and I'm sticking to it!!! If the weather is good, tomorrow I should fly into Lukla, reportedly the worlds most dangerous airport. A friend of mine said that Lukla stood for LUcKy LAnding (thanks Tim!) I'm not worried though, but I will let you know how I get on. I'm hoping Internet access is a bit better in the Khumbu than on the Annapurna Circuit so I can keep you all updated on my progress.